As we enter the busy season of home selling, buyers can expect lower inventories and higher prices, experts say, but low interest rates take away some of the sting. Originally posted on WSJ.com and written by Anya Martin. As winter draws to a close, homeowners coming out of hibernation are looking for new homes. And those who sleep too late can expect to pay top dollar for the house they want. Buyers are anticipated to outnumber sellers this spring, creating a shortfall in inventory that is driving up asking prices, says Lawrence Yun, chief economist for the National Association of Realtors, or NAR. “Given that prices are rising, more people will be pushed on the borderline of conventional mortgage limits and may need a large down payment or a jumbo mortgage,” Mr. Yun says. Jumbo mortgages have limits higher than conforming loan limits of $417,000 and up to $625,500 in some high-priced areas. Lenders also are predicting a busy borrowing season. 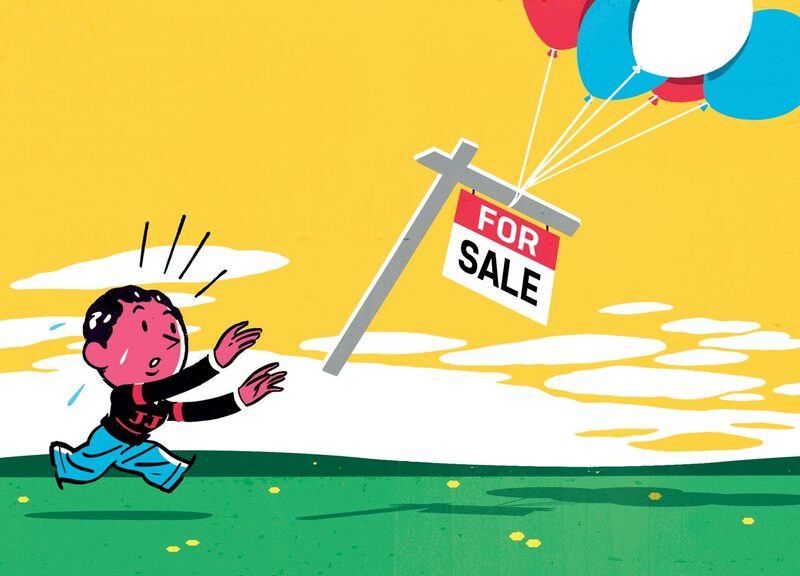 “There’s a decade of pent-up demand,” says Bob Walters, chief economist of Quicken Loans. With loans volume for home purchases at its highest level in four months, and low interest rates fueling a mini-refinance boom, buyers seeking the best mortgage deals should ask lenders how long closings are taking, Mr. Walters says. Borrowers got a sweet surprise when mortgage rates fell earlier this year—despite the Federal Reserve’s short-term rates increase in December. The average interest rate for a 30-year, fixed-rate jumbo mortgage was 3.75% for the week ending March 4, according to mortgage rate website HSH.com. Rates aren’t expected to rise above 4% before May, says Keith Gumbinger, vice president of HSH.com. With a softened economy, the Fed isn’t predicted to raise short-term rates at its March meeting, with the next opportunity being June, he adds. Mr. Anastos also advises borrowers to skip prequalification, which is based on stated income and assets, and go to the full step of preapproval, which requires submitting full documentation to an underwriter, Mr. Anastos says. Preapproval can save as much as seven to 10 days in the closing period, Mr. Anastos says. “If you find a home this weekend, you look highly competitive.” he adds. One silver lining of rising home prices is greater lender confidence in jumbo mortgages, leading to looser credit qualification, Mr. Walters says. Borrowers typically need a credit score of 740 or more to secure the best interest rates, but now most lenders will accept a 700 score, and some will take a 680 or occasionally even lower, he adds. And while a 20% down payment remains the industry standard for jumbos, more lenders are also offering lower down payment jumbos (15% or even 10% down), Mr. Walters says. Appraisals may come in low. Sales are contingent on a home appraisal, and if the home doesn’t appraise at the price offered, the borrower may have to come up with more cash, says Norman T. Koenigsberg, president and CEO of East Brunswick, N.J.-based First Choice Loan Services. About 10% of First Choice applicants’ homes have been appraising under market prices. Until spring sales begin to close, appraisers may be comparing prices of homes sold as far back as October with current prices, he adds. Save money on shorter stay. Most jumbo borrowers are locking in fixed-rate loans, but those who expect to relocate within five to 10 years can still get the lowest rates with adjustable-rate mortgages, Mr. Koenigsberg says. Average rates for the five-year ARM on March 4 were 2.84%, according to HSH.com. Longer lock-ins. The typical rate lock is 45 days, but if a borrower is preapproved and still looking, many lenders will lock longer for a slight premium, usually one-eighth to one-half a percentage point, Mr. Walters says.